Summary: If a worker doesn’t ask to take their outstanding statutory holiday entitlement before the end of their leave year, can they be prevented from carrying it over to the next? No, unless the employer has ensured “specifically and transparently” that the worker has been given the opportunity to take the leave, held the CJEU in Max-Planck-Gesellschaft v Shimizu and Kreuziger v Land Berlin available here. Facts: The CJEU considered both above cases which involved German law. This law said that workers would only receive a payment in lieu of accrued holiday when their employment ended if their employer had prevented them from taking it. This meant that workers had to ask to take all outstanding leave first. Neither claimant, Mr Kreuziger nor Mr Shimizu, had asked their employers to take their outstanding holiday before they left their employment. On termination, Mr Kreuziger asked his employer for a payment for outstanding holiday that accrued over five months. Mr Shimizu asked for payment for 51 days outstanding holiday which spanned two leave years. Their employers refused (relying on German law) and Mr Kreuziger and Mr Shimizu brought claims. The German Federal Labour Court referred questions to the CJEU. The CJEU held that the Working Time Directive requires that if a worker does not exercise the right to paid annual leave in any year, leave should not automatically be lost unless the employer has ‘diligently’ brought it to the worker’s attention this is the case. Employers need not require employees to take leave, but must inform them accurately and in good time of the right. As the right to annual leave is in the EU Charter, it applies between private parties. The CJEU’s decision means that, going forward, the prohibition in the Working Time Regulations 1998 on the carryover of the four weeks’ EU statutory holiday will be subject to the condition that the employer has exercised all due diligence to ensure the worker could take their leave and knew the consequences of not doing so. employers will also have to prove they have done this. If they can’t then any restrictions which stop the worker carrying over holiday into a new leave year will not apply. These cases will now go back to the German courts to determine if Mr Kreuziger and Mr Shimizu should receive compensation for all untaken leave. 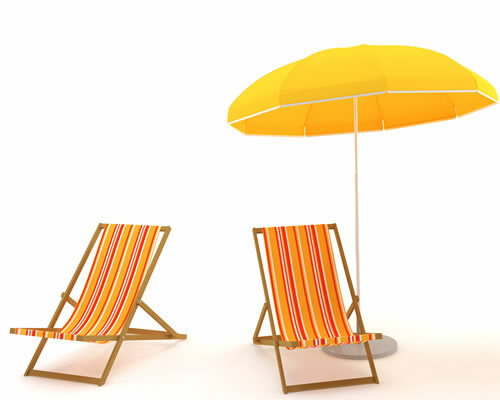 Implications: Similar to other decisions of the CJEU relating to holiday entitlement, this applies to the first four weeks statutory holiday and employers are entitled to operate a “use it or lose it” approach to the remaining 1.6 weeks holiday. If employers want to continue to operate a holiday policy which does not allow carry over of leave of statutory holiday from one year to the next, they will need to be able to show that they have “exercised all due diligence” to enable the worker actually to take his entitlement. Loss of entitlement will only be lawful if the worker deliberately declines to take their leave knowing the consequences. This means encouraging workers, formally if necessary, to take their leave entitlement and informing them, accurately and in good time, that they will lose it if they don’t take it. However, this does not apply to staff who don’t take leave because they are ill or are on maternity leave as they will be able to carry over in any event. Employers should have a system to send reminders to workers through the holiday year, particularly in the months towards the end that year, telling them what holiday they still have available to take and encouraging them to take it. This is an effective way of ensuring that workers do not try to use this case to argue that that they were not given the opportunity to take their holiday so they should be paid in lieu of it on the termination of their employment.